I loved Toyota's Swagger Wagon when it came out back in 2010. It provided some much needed entertainment in the difficult minivan space where a lot of buyers felt they had to defend their purchase of a minivan against a slew of cooler SUVs. 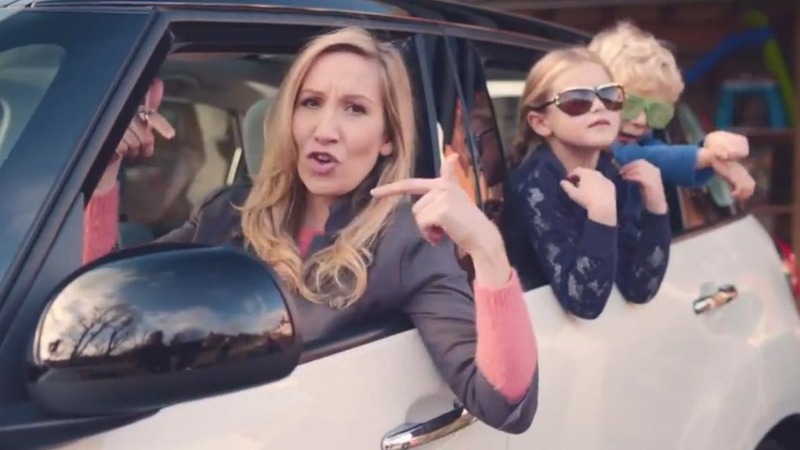 The parent rapping formula definitely works, Toyota's video has over 11 million views. Then there is a recent addition from the comedy team Bluefish TV that has over 1.6 million views. Fiat decided to enter this genre and has netted near a million views already; though, it's unclear how much media is behind the success. "Word to all the mothers out there. This one goes out to you..." reads the YouTube video's description. It is what you expect a lot of hang wagging, complaints about spit up, rhymes about life before being a mom, a mention of snot, and an attractive upper-middle class mom doing the simplest rap tempo. The ad, called "The Motherhood", promotes the British release of the Fiat 500L a car we cannot currently get in the States. If you are familiar with automotive naming, you can quickly figure this is a Fiat 500 "Large" basically Fiat's answer to the MINI Countryman. It made it's debut a few weeks ago at the Los Angeles Auto Show. I'm sure the 500L rap video will continue to gain views. Sadly this formula works. Fortunately, the world is ending tomorrow and with it hopefully the end of rapping white parents complaining about their trials raising kids. It was a creative and fun idea once. The copycats have been painful. Here, here to the Mayan Apocalypse! About 2.00 minutes too long. That's the problem with many of these "viral videos" - they don't know when to end the joke. I liked Toyota's Swagger Wagon video when it was released. They did a nice job of creating a series of videos for the campaign that used the same family members. The Swagger Wagon video was the centerpiece of the campaign, but it wasn't a one off "viral video" attempt like these follow up videos have been. And while it likely makes me a jerk to say this, I liked Fiat's Abarth Super Bowl commercial a whole lot more than this latest effort.
" - Parent(s) + Kids in diapers + Toys + Car + Casio Keyboard Synthesizer + Rap = Viral Video Gold - "